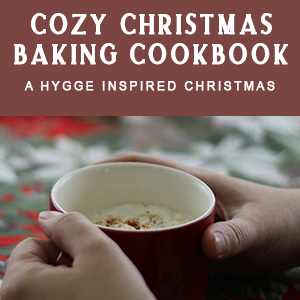 “Cozy Christmas Baking: A Hygge Inspired Christmas” by Abby Jo & Johanna VanHoutan is a holiday cookbook filled with forty plus heirloom recipes for bread, pies, cookies, cake, and sweet treats. 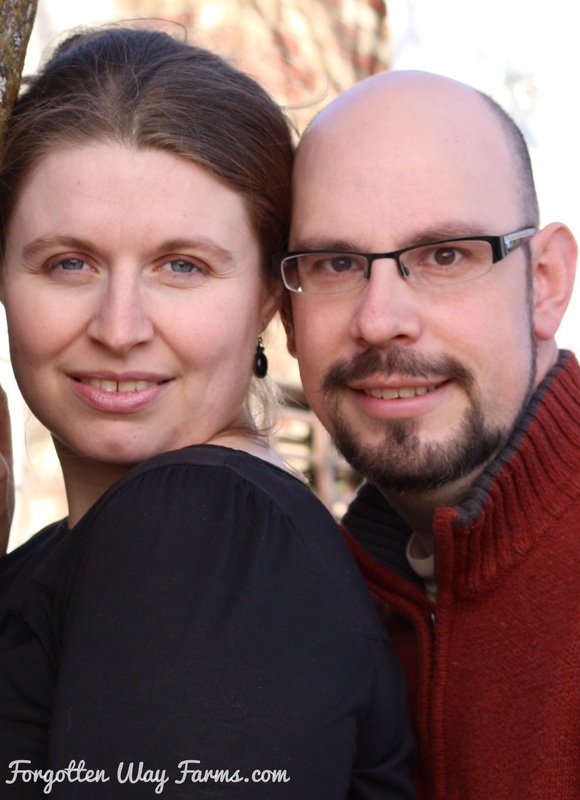 It also has a forward by the lovely Angela behind the blog Parisienne Farmgirl. This cookbook has a section on “A Cozy Christmas,” with tips on getting your hygge on this season, simplifying gift giving with hamper baskets, and our family’s favorite Christmas stories! 40 plus recipes with a color photo for every recipe. Cozy pictures, quotes, and inspiration for your own cozy Christmas. Shout out to business love(pages 134-135), a couple of our favorite American made companies. List of favorite Christmas Books, and ways to hygge this Christmas. How to make a hamper basket, the perfect old-fashioned gift for Christmas. My favorite season is here! November and December, the holiday months filled to the brim with hygge and cozy living. So, what is hygge? Hygge (hoo-gah) is a Danish word for the concept of coziness and contentment, especially during the busier times of life. Hygge = Cozy. It’s enjoying the little things that make up a day; the joy of everyday living. A hygge lifestyle is one of simplicity, focusing on the good things in life, like a homemade baked good and a cup of coffee, warm candlelight, delicious drinks, warm sweaters and socks, a tromp in the woods and then a hot dinner at home. It is focusing on all the warm moments that make up a day. 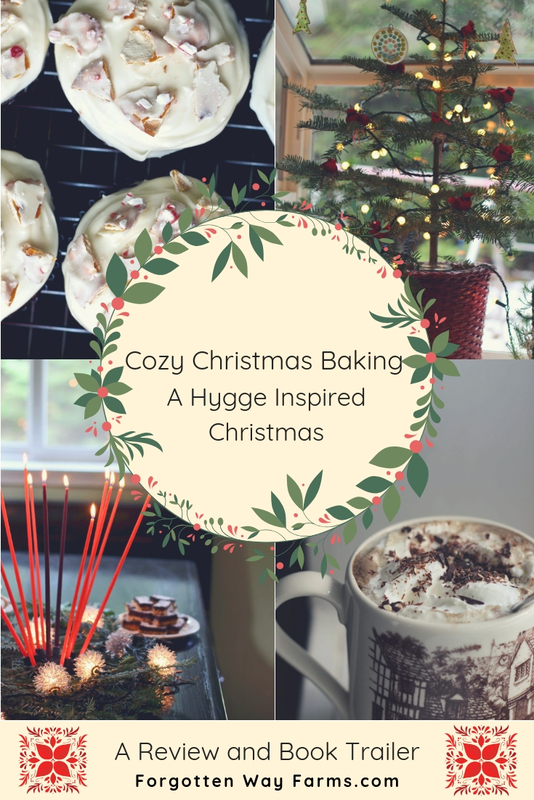 Here’s the first look at “Cozy Christmas Baking: A Hygge Inspired Christmas”. These first few weeks on Amazon are especially important, so please stop by after you get your copy and leave us a review! We also put together a book trailer, for y’all. It’s filled with cozy shots of our daily life and a sampling of the delicious goodies that you’ll find recipes for in the cookbook. You just might feel inspired to head into the kitchen, whip up a batch of Chocolate Shortbread Bars and take the kids sledding. You have been forewarned! A mother and daughter duo that live in the beautiful Pacific Northwest, they’re in love with cozy living, good food, homesteading, adventures of everyday living, and spending time with family and friends on their twenty acre homestead. We have 40 more recipes in this book that are not on the blog: with the best cookies, pies, cakes, bread, and sweet treats. The recipes are simple and the ingredients are easy to switch out to fit your needs. 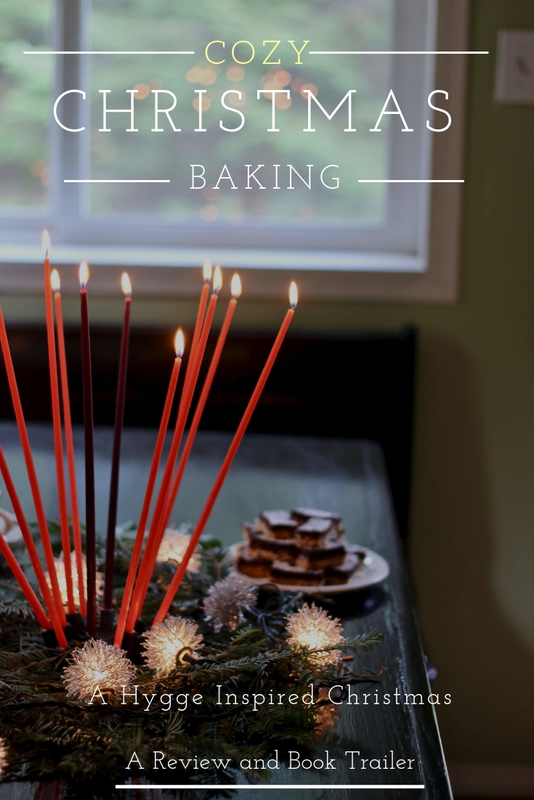 Have yourself an old-fashioned Christmas baking party and give homemade gifts this year! I hope this helps you know a little more about our book, and you get inspired to bake and get cozy! Get your copy of Cozy Christmas Baking…HERE! Is there a holiday treat you always bake? And, have you embraced the concept of hygge in your holidays? WE have been sick with the flu, I will bring it as soon as we are well 🙂 Thank you!